The creator of the puzzle intended you to “read” it a specific way. There is only one way to solve it and if you don’t have the precise numbers, you can not finish it. Yet, there are thousands of different puzzles, all with the same make up of 9 x 9 squares. They all tell a different story. The setup of the E-lit piece, Faith, actually reminds me of a Sudoku puzzle the way words are put together on a grid. They move around to form different combinations, finally resting on the full version of the poem. If the words were placed differently, it would not make sense or would be incorrect in the world of the puzzle. Still, Faith experiments with placement until it finds the right path. 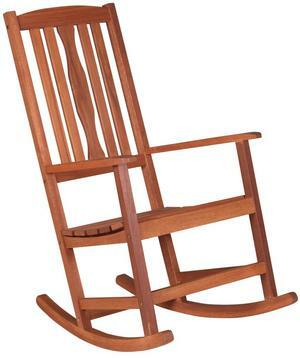 Exactitude in writing is like a carpenter building a rocking chair. There are so many designs and types of wood. The creativity for building can be infinite. A rocking chair must be precise, however. If one leg is shorter than the others or the curvature of the base is off, the entire structure could fall apart with the weight of someone wanting to relax. Calvino acknowledges that vagueness is commonly found in writing and that his opinions don’t reflect the entirety of the reading population. However, I’m going to agree with him here. Writing needs a strong foundation, just like the rocking chair. Vagueness can cause confusion and destroy clarity. According to Graphic Design: The New Basics, hierarchy is what tells us the importance by order and placement within a design. It is conveyed visually through variations in scale, value, color, spacing, placement, and other signals. It provides clear marks of separation to signal a change from one level to another. Faith demonstrates hierarchy through changes in color and spacing. This indicates what the viewer is supposed to read. In each of the five steps, letters and words are organized in an innovative way to say something different. However, everything is taken directly from the context of the full poem. It further shows exactitude by presenting a clear and precise process to follow the poem with. Exactitude can be described as the opposite of vague. For some reason this is the best I can do on a description without pulling out a thesaurus. It’s just the way I think about it. With a little outside assistance I can explain it as clarity, preciseness, or specificity. It is when the writer puts thought into every word and places it in a fixed order for an “exact” reason. Vagueness can be created when a writer has so much to say that they do not take the time to focus in on the details. But details, the ones that are deeply thought out, can be what give flavor to a piece. At least this is what Calvino says. Calvino uses the crystal as an emblem to represent exactitude. “The crystal, with its precise faceting and its ability to refract light, is the model of perfection that I have always cherished as an emblem” (70). A crystal grows as if it were living but belongs to the mineral world, a bridge between the two. I feel that poetry embodies exactitude, being that every single word is put there after careful planning and thought. If the poet is creating a rhyme, they are limited in the words they can chose from in order to continue with the desired effect. While I could probably type a page about my day in less than 10 minutes, a haiku poem about my day could take significantly longer. Haikus are very exact, down to the number of syllables a line can have. Here is an example of a Haiku written by a 10-year-old from Georgia named Irven. Spring is here hurray good cheer! I am glad it’s here!